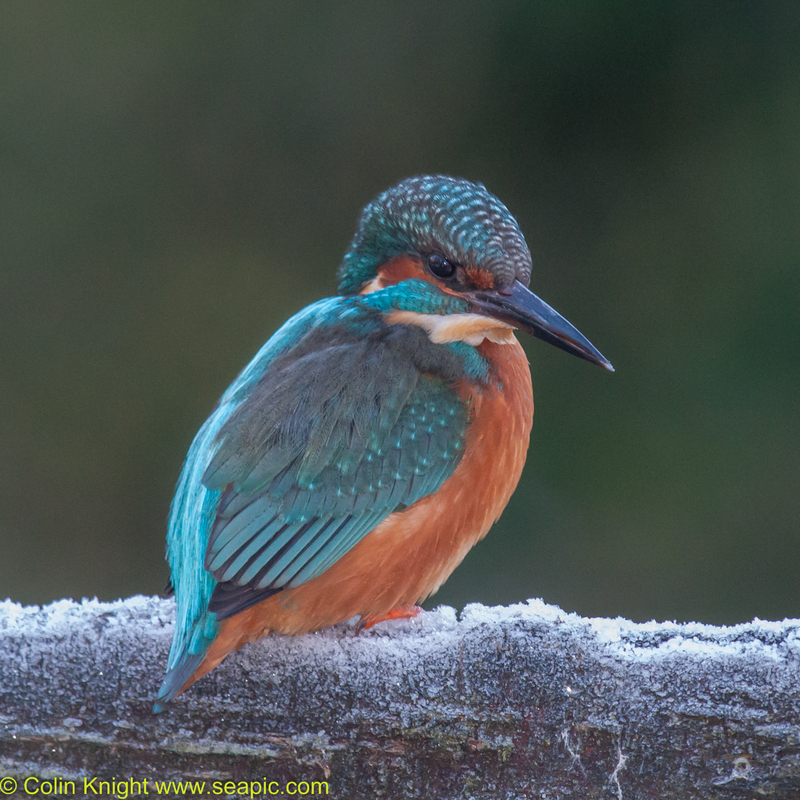 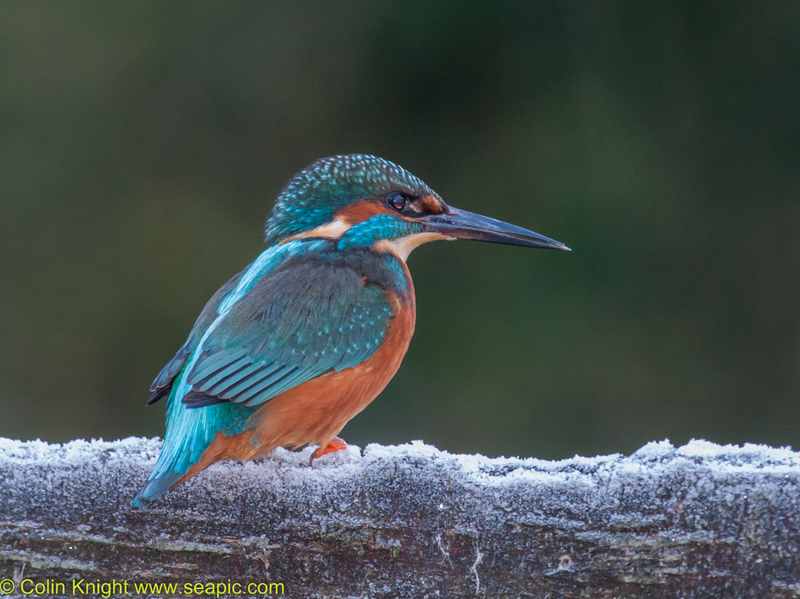 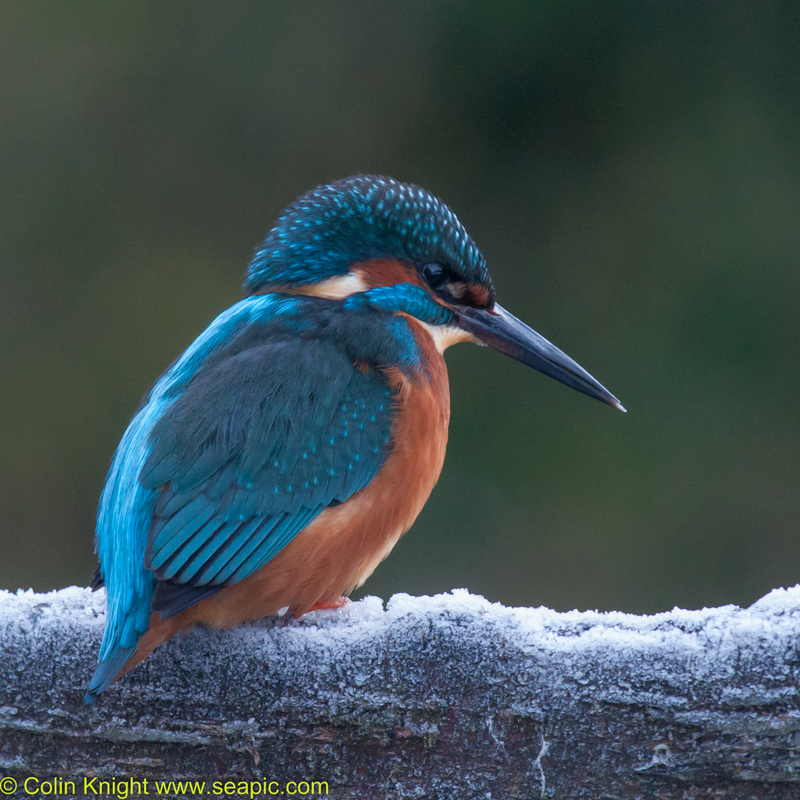 Yesterday morning I took Sue to see the Kingfisher and as we carefully trod the snow covered path to the top pond he zoomed past us. 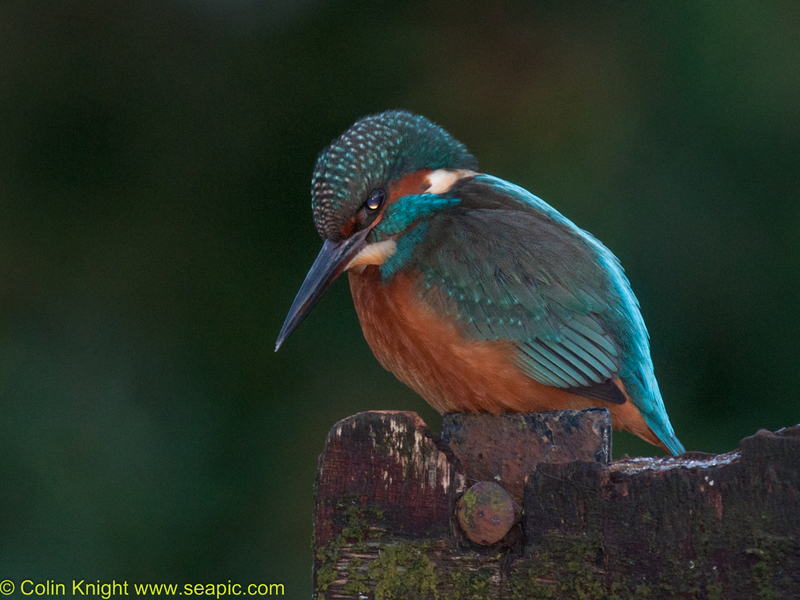 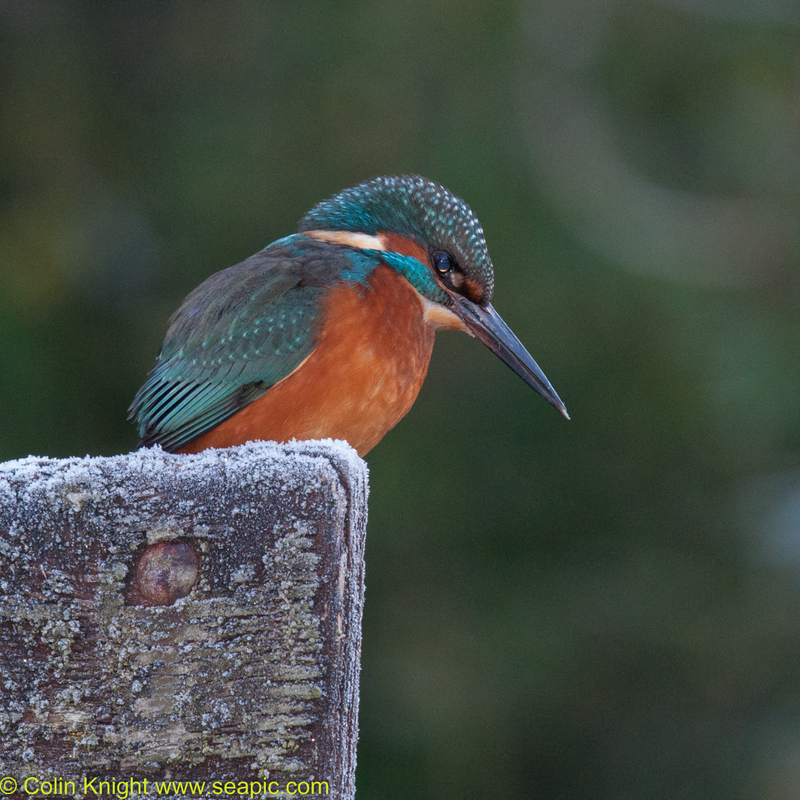 He waited patiently on the signpost so that Sue could see him close-up as he looked around for his next fish. 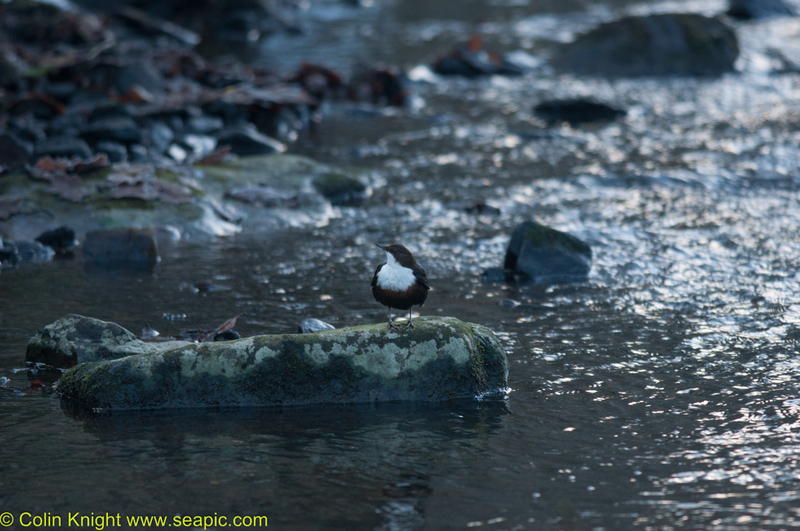 After a while he plunged into the shallow water and took his prize off to a distant tree. 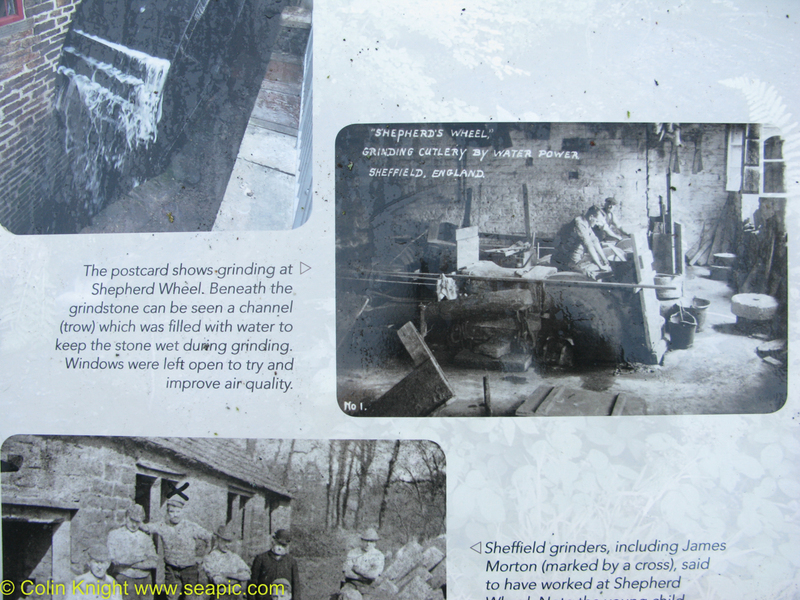 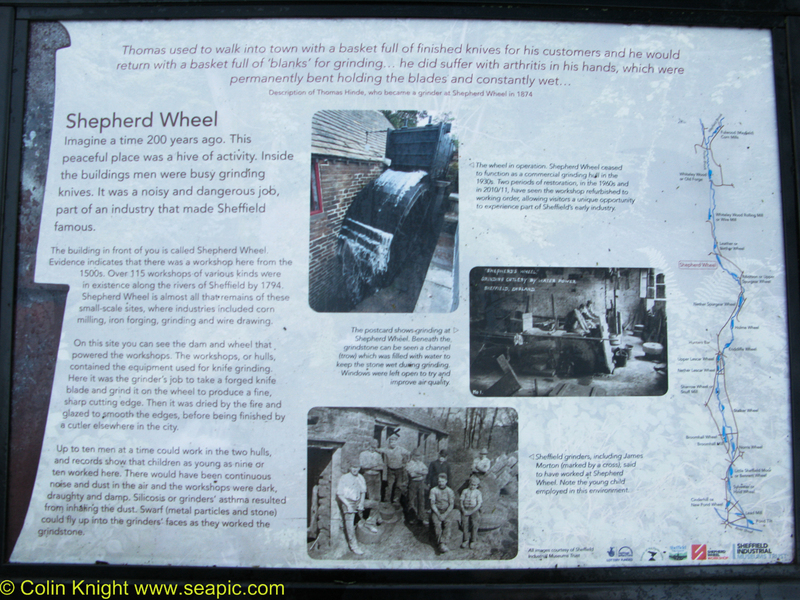 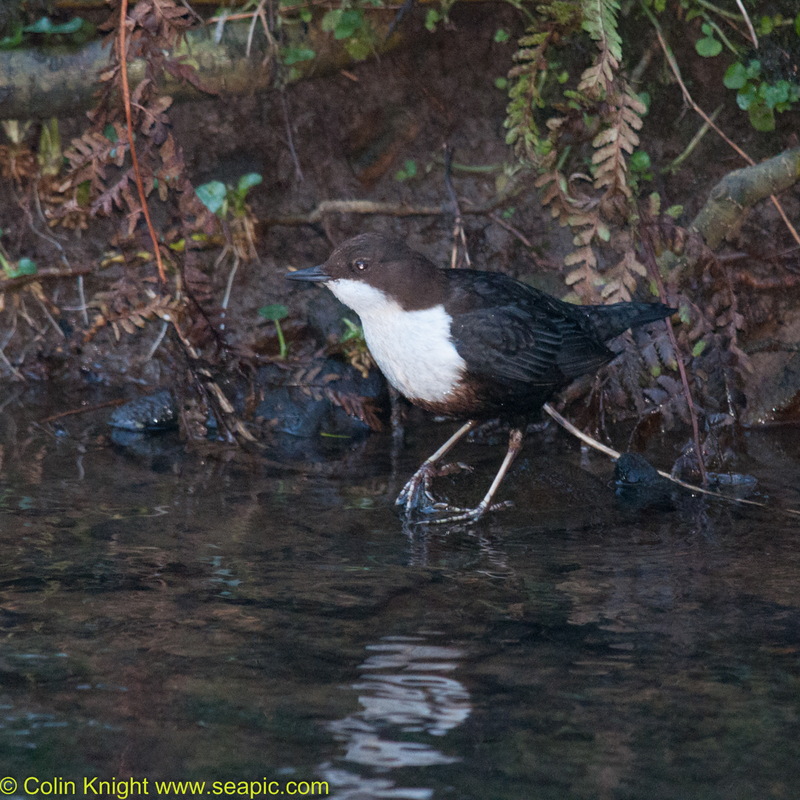 We then entered the Whiteley Woods park and visited Dipper Bend. 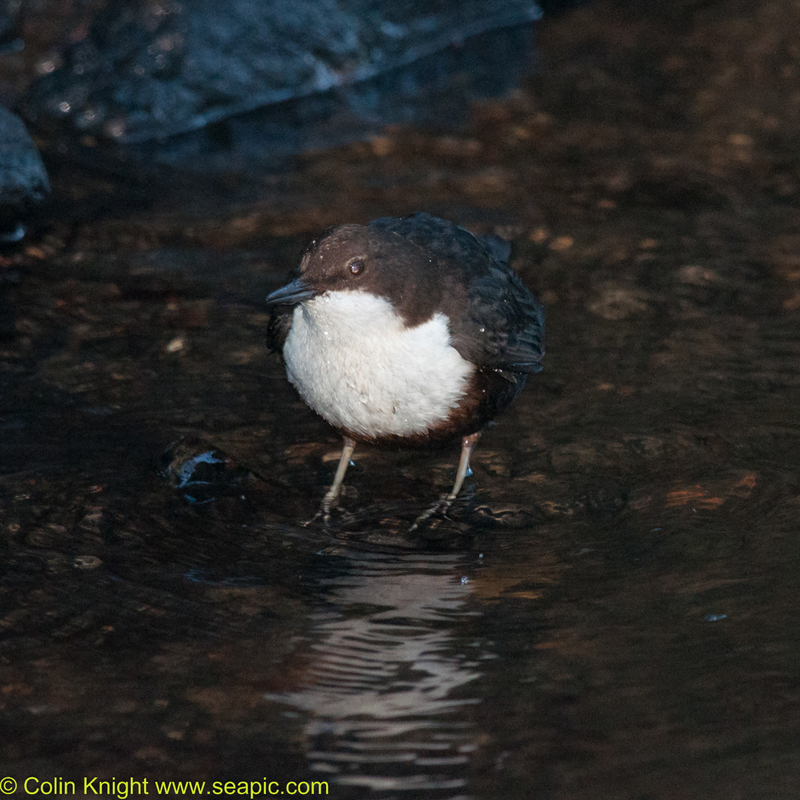 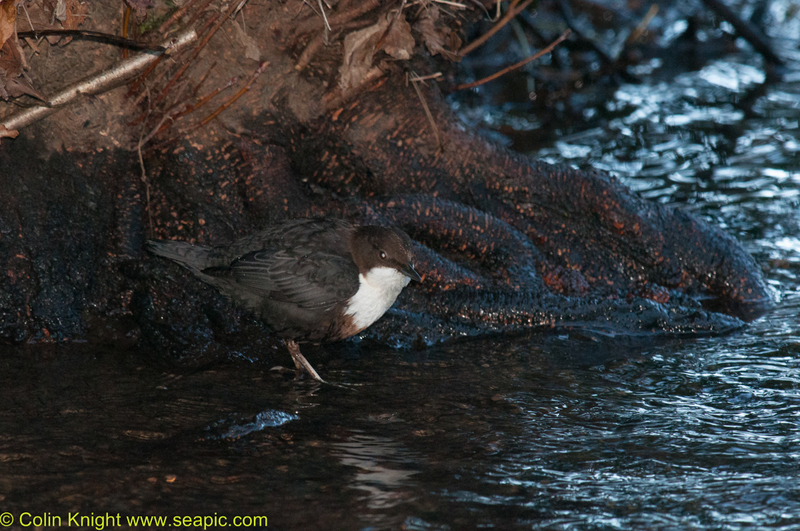 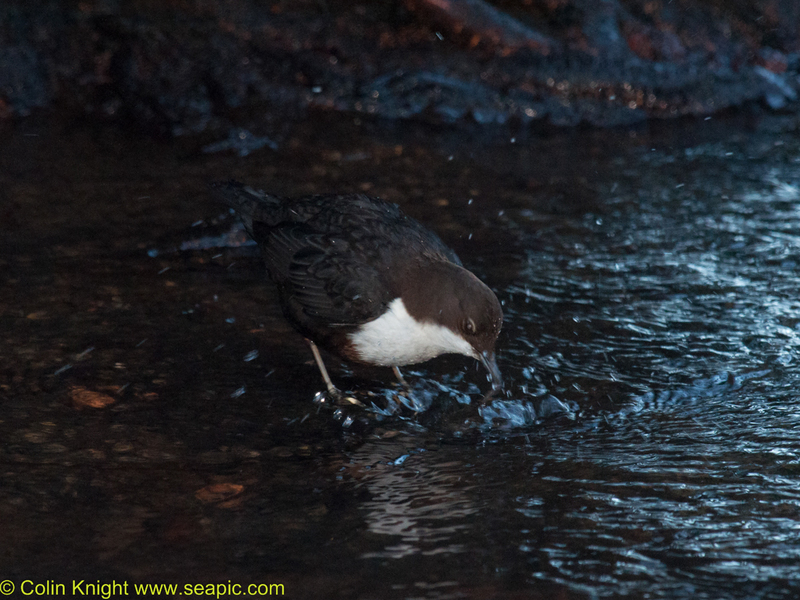 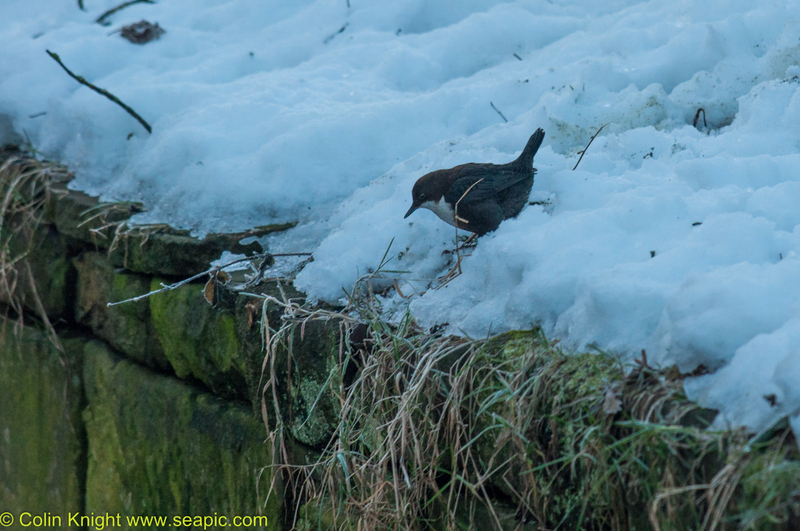 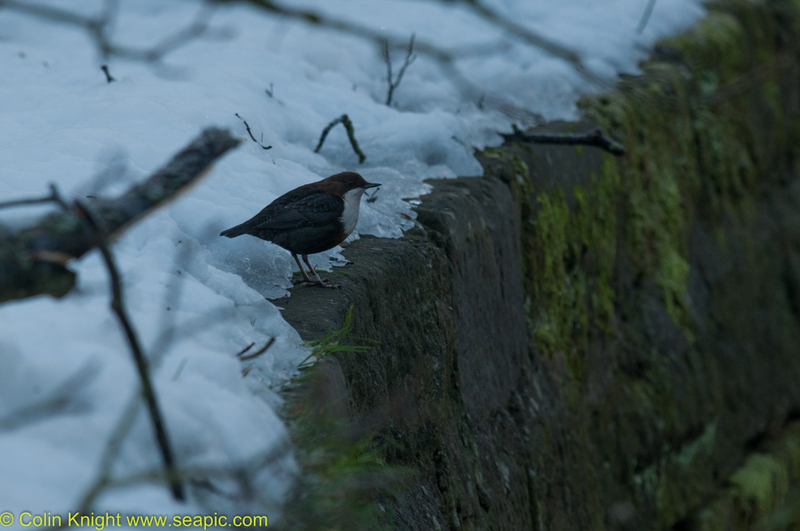 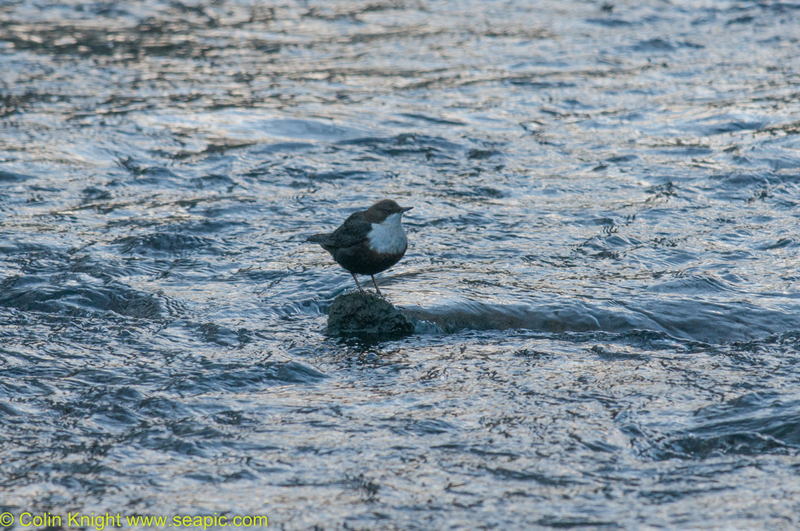 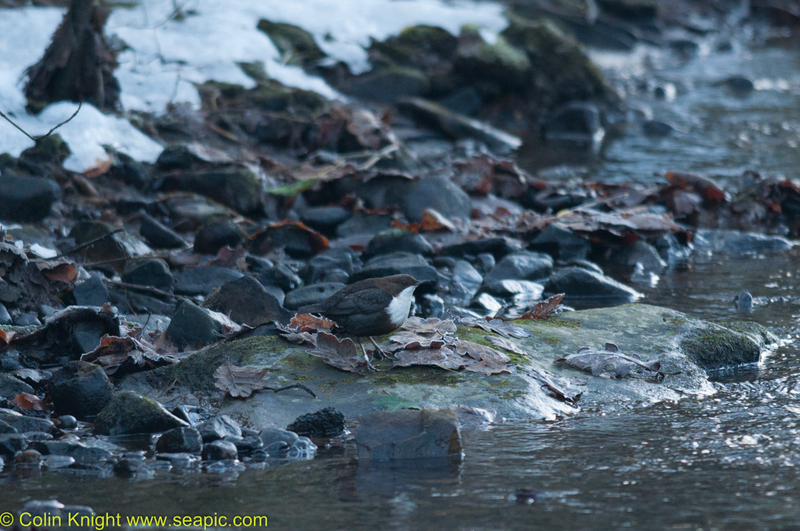 Two Dippers obligingly appeared, apparently displaying to each other in the snow then one flew off. 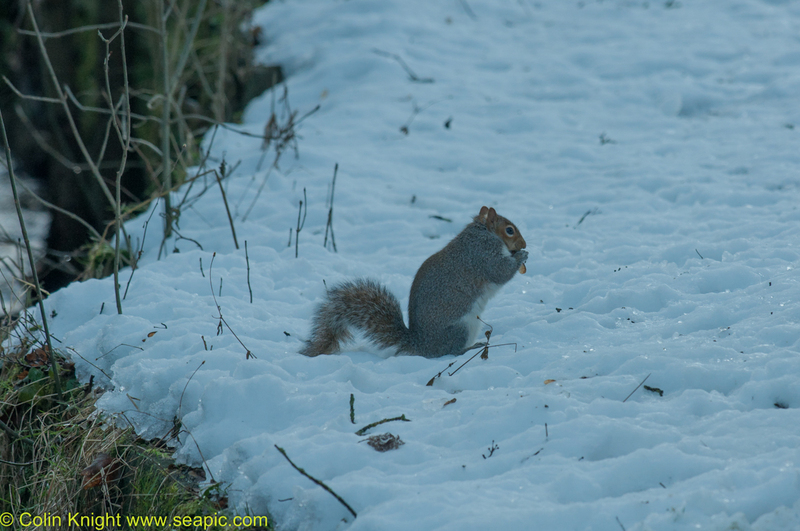 A third then appeared. 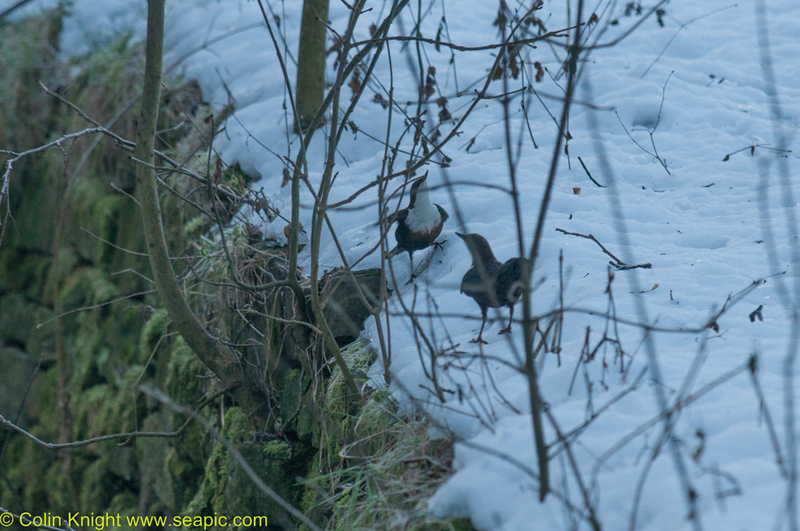 I assume one male was telling another to get lost and the third one was its mate. 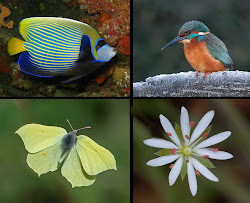 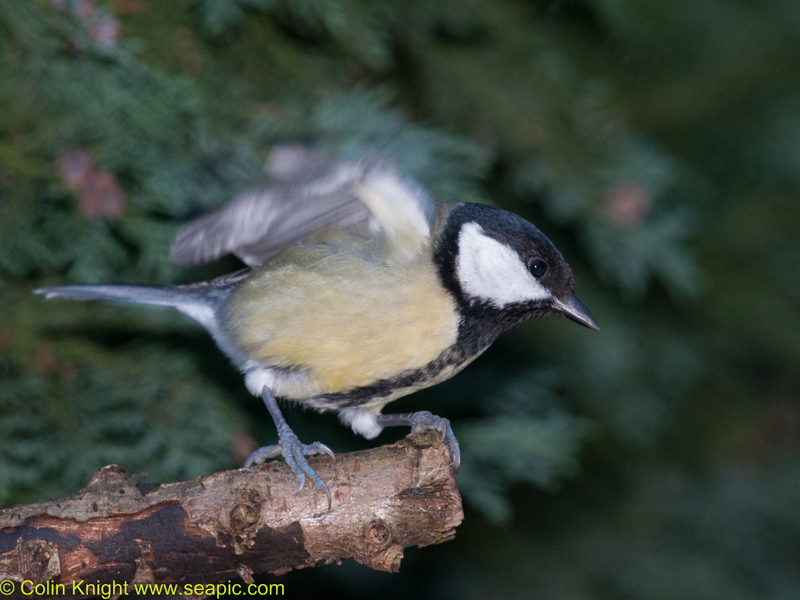 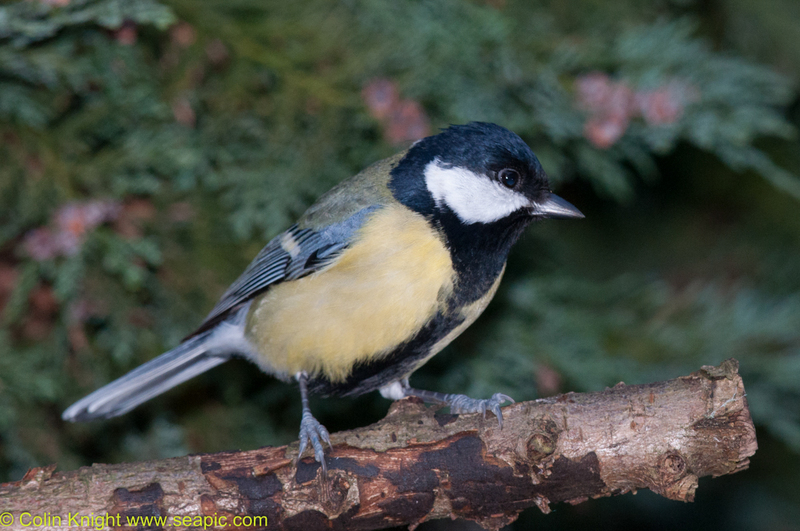 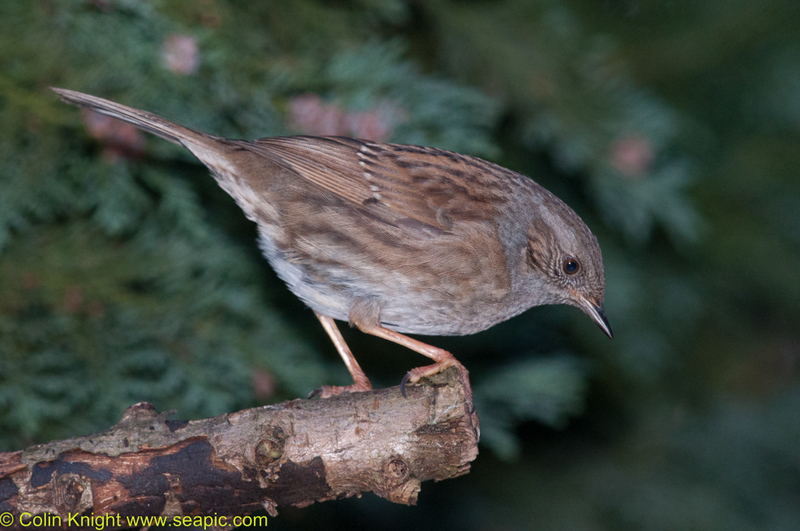 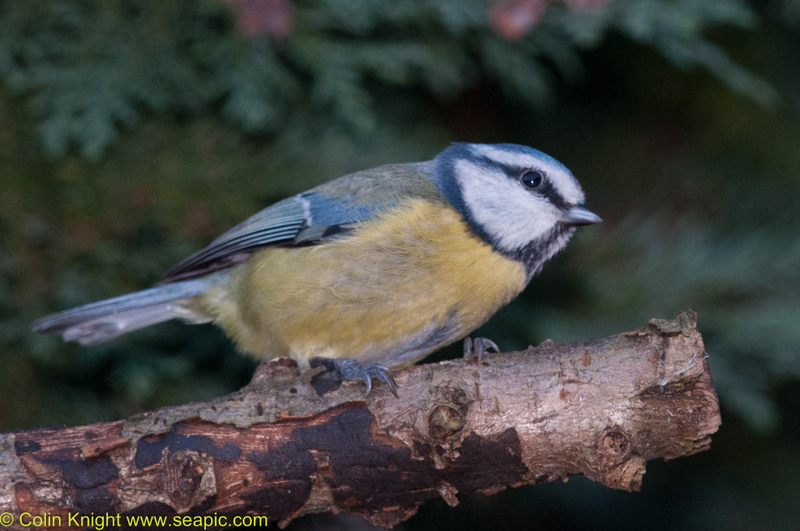 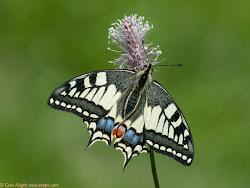 One had a white ring which I will report to the BTO. 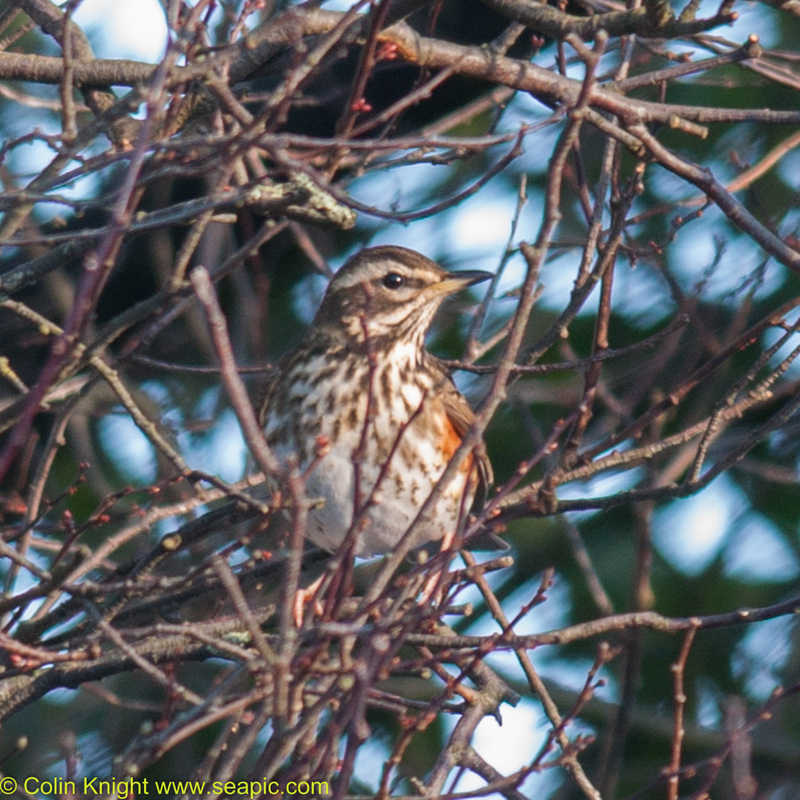 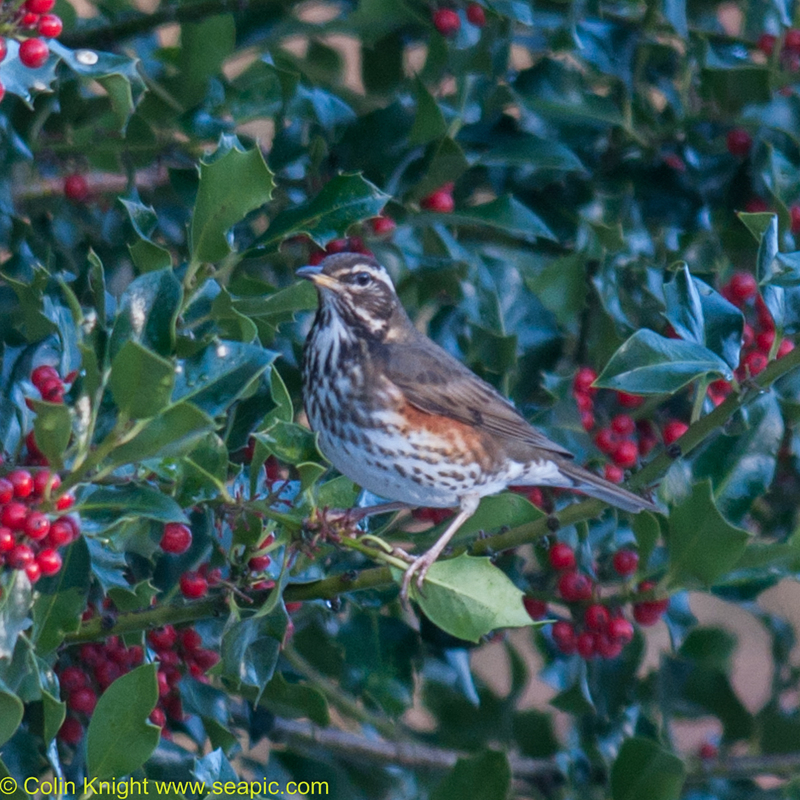 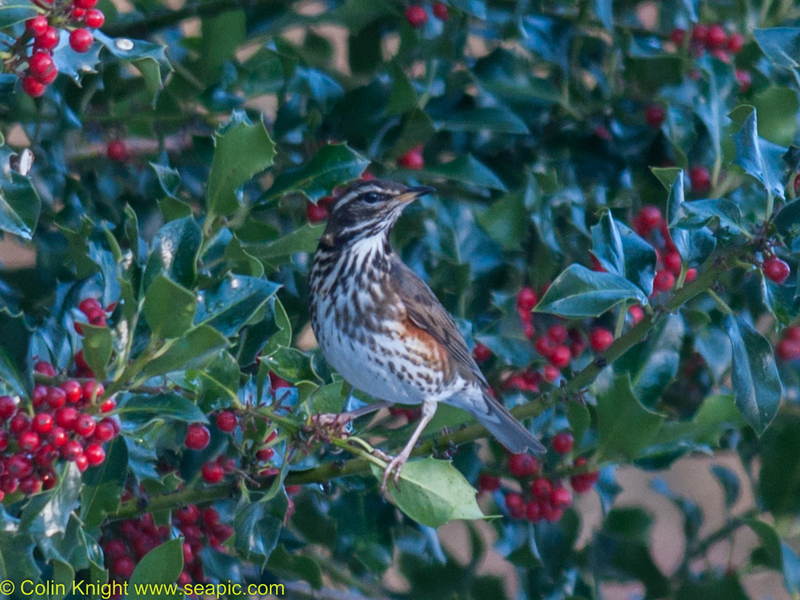 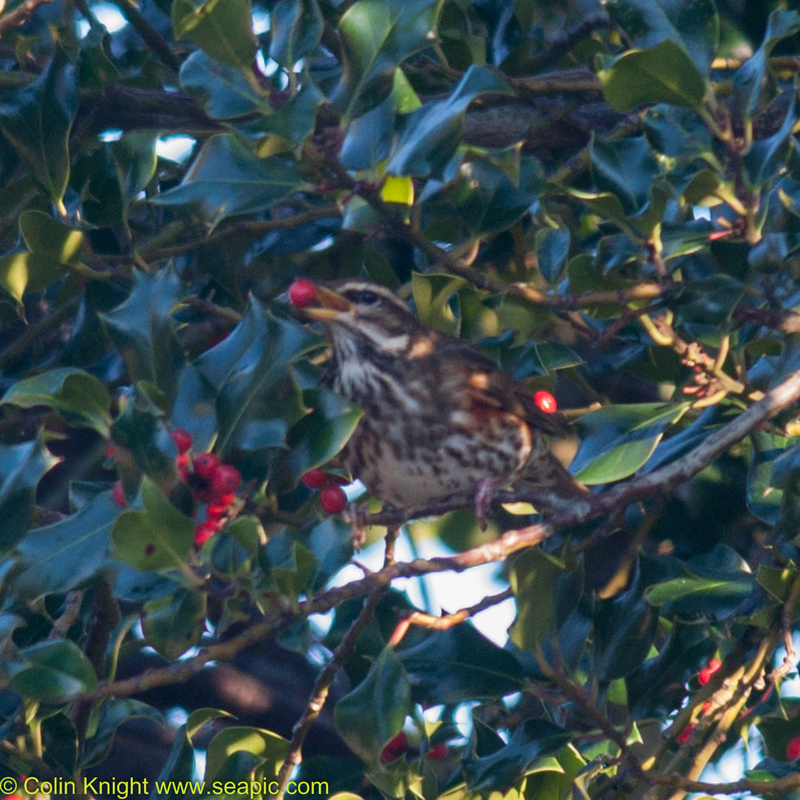 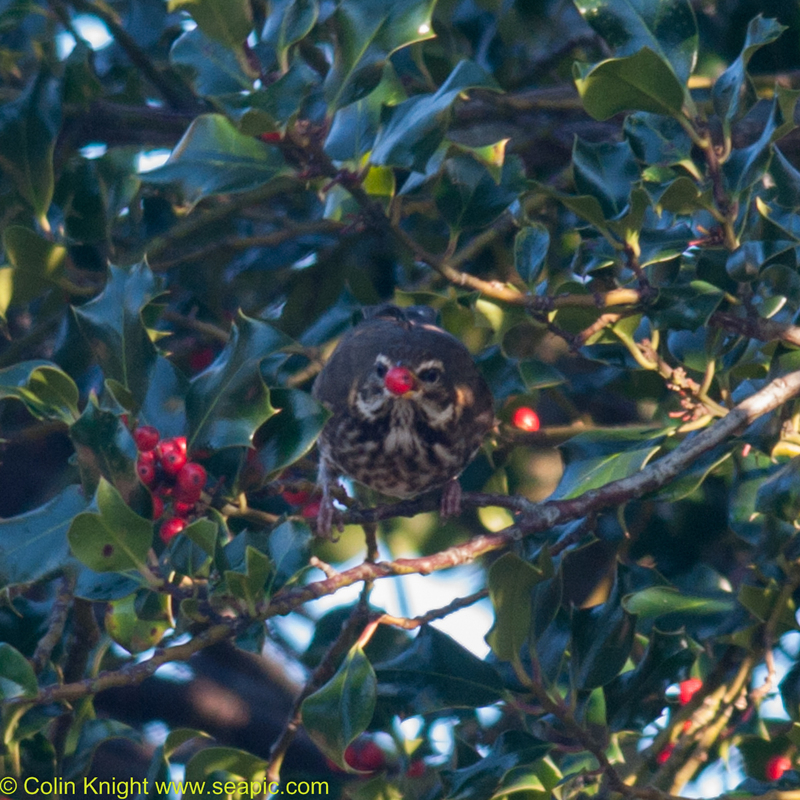 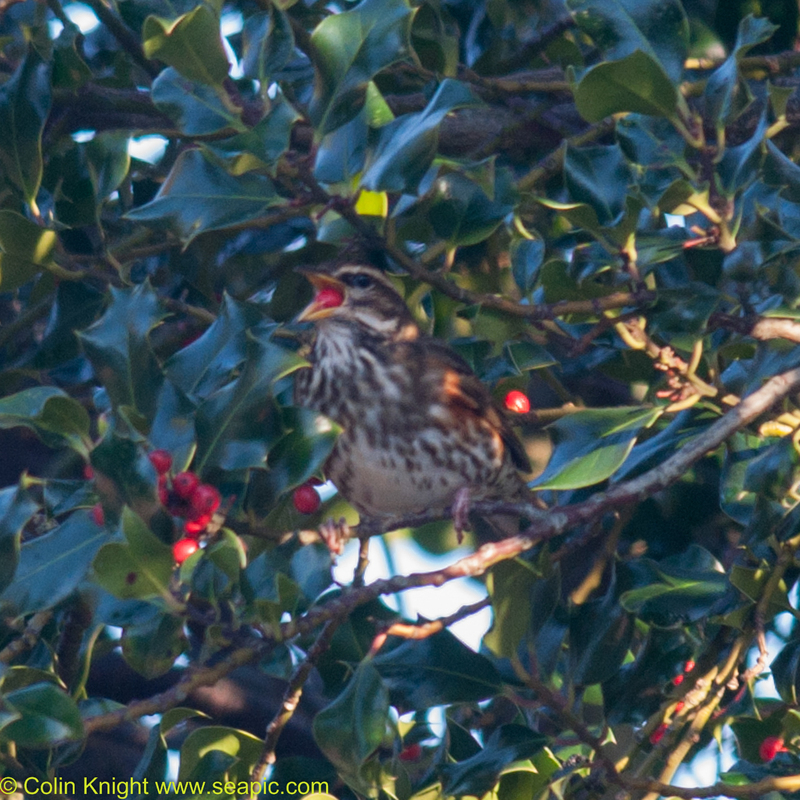 Late morning I returned alone and spent some time photographing the Redwings feeding on holly berries by Oakbrook roundabout. 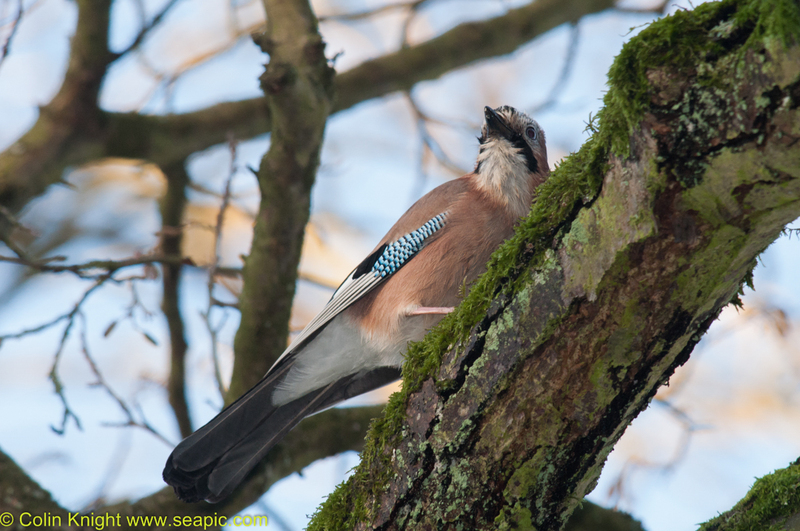 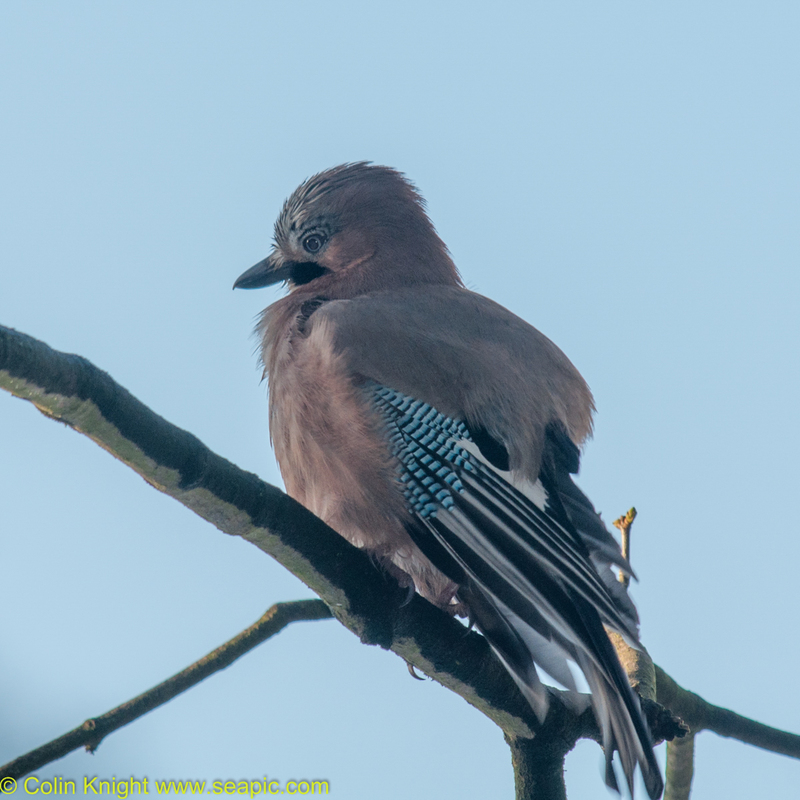 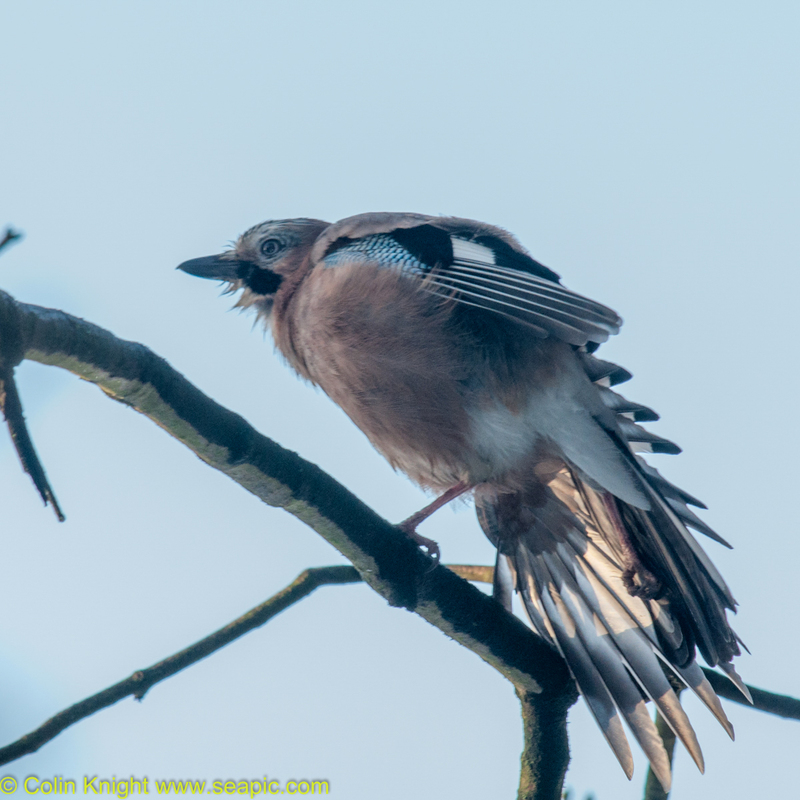 A walk through the park gave me a Jay and some squirrels then I returned to Endcliffe Park pond where the Kingfisher was waiting for me. 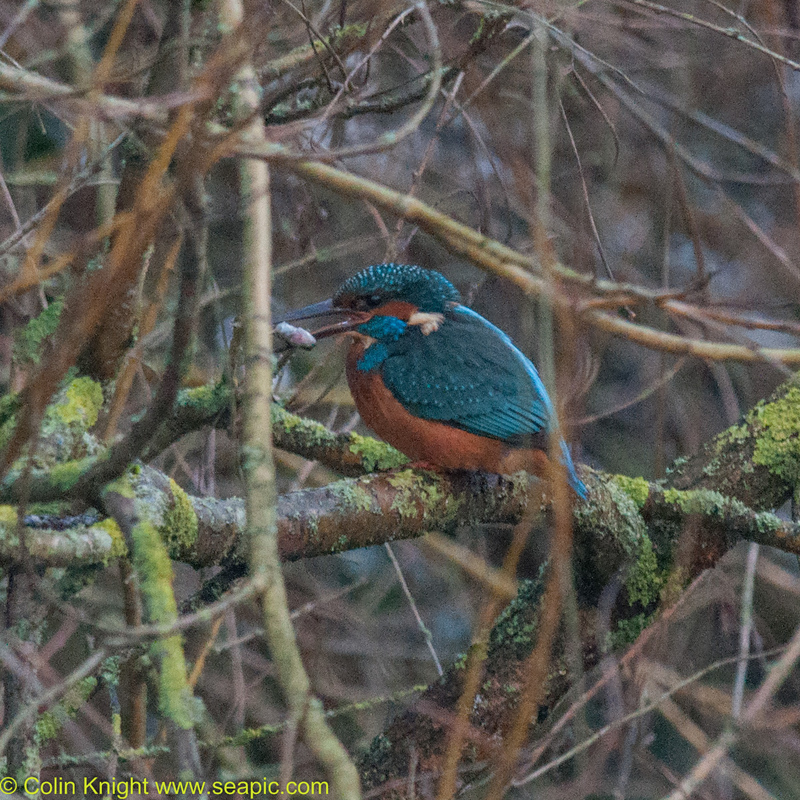 He dived in and took his catch to a tree. 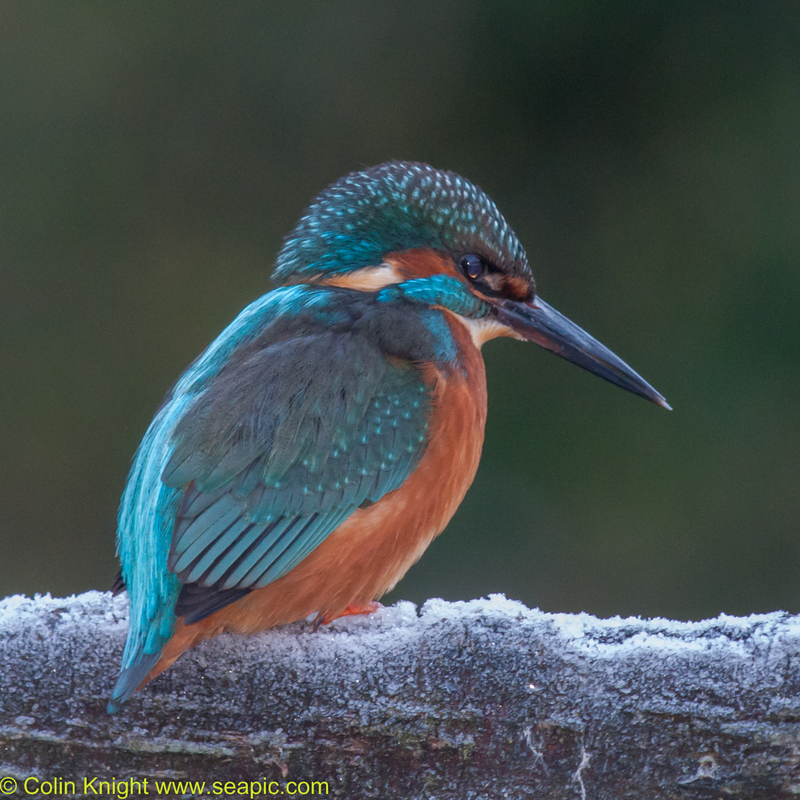 Yesterday morning we heard that Ken's CT scan had not shown any problems in spite of a minor stroke and that he would be discharged in the afternoon. 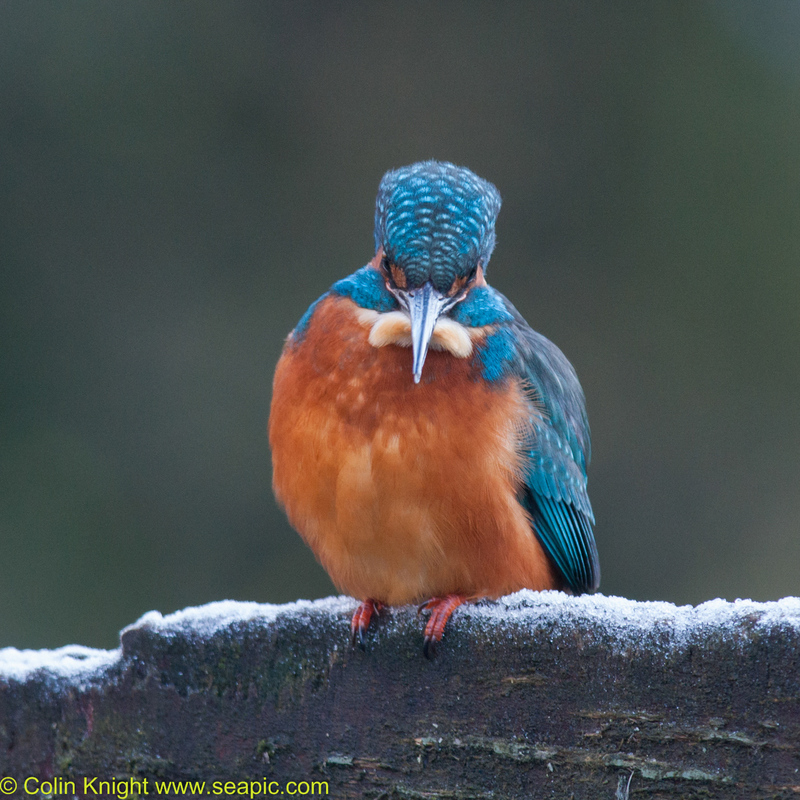 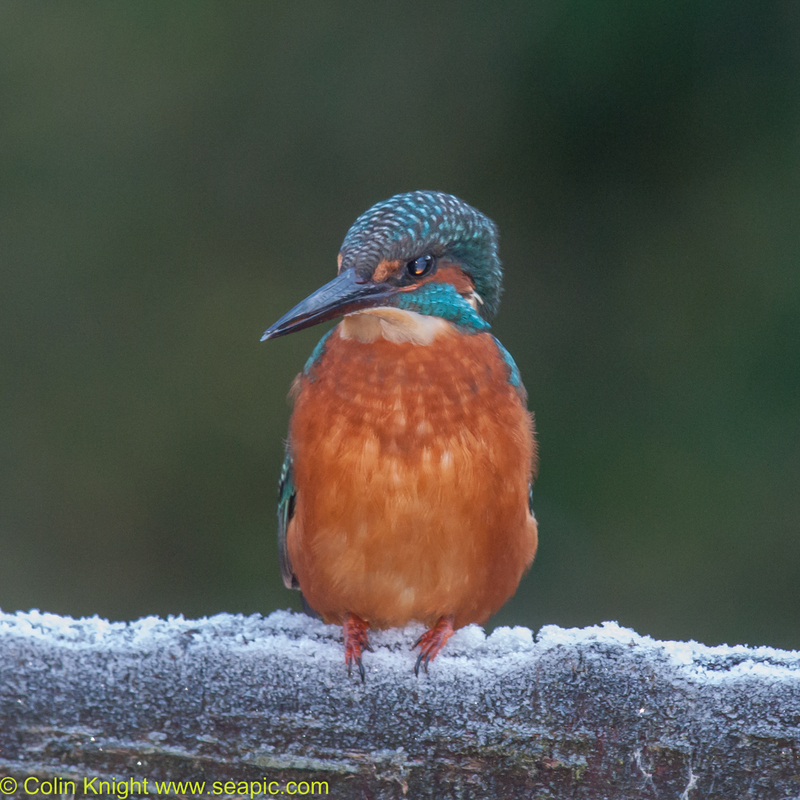 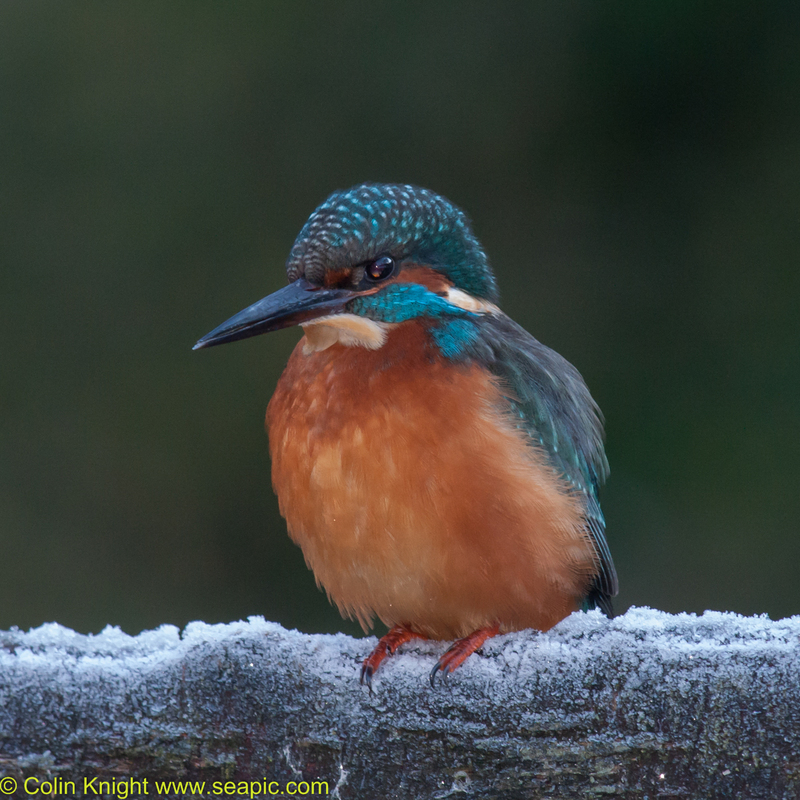 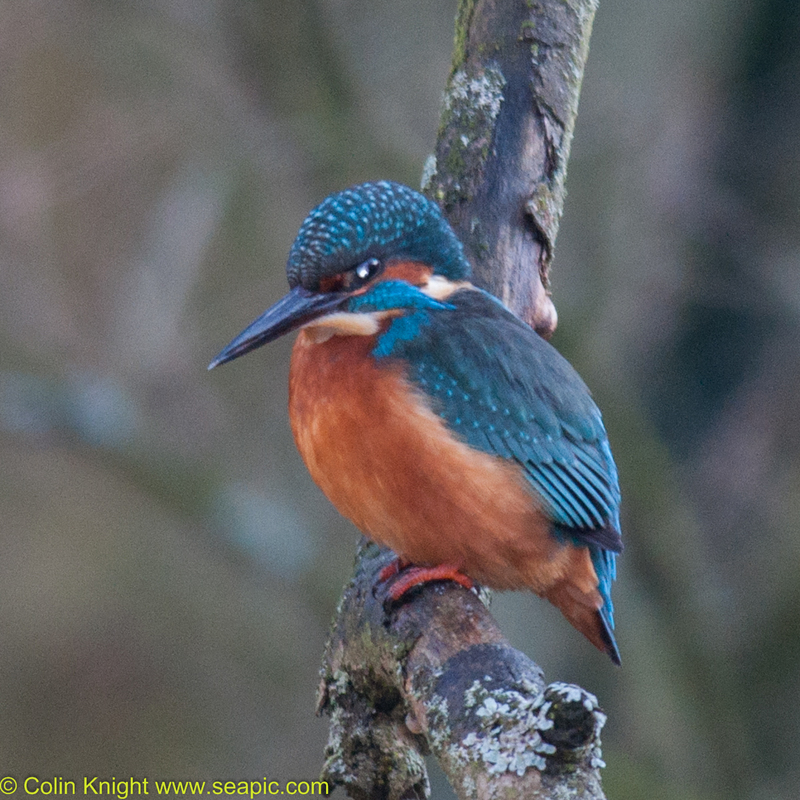 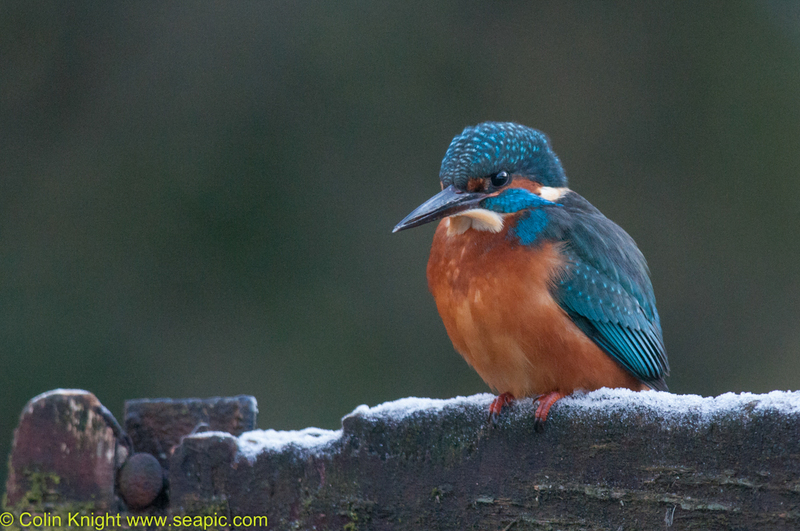 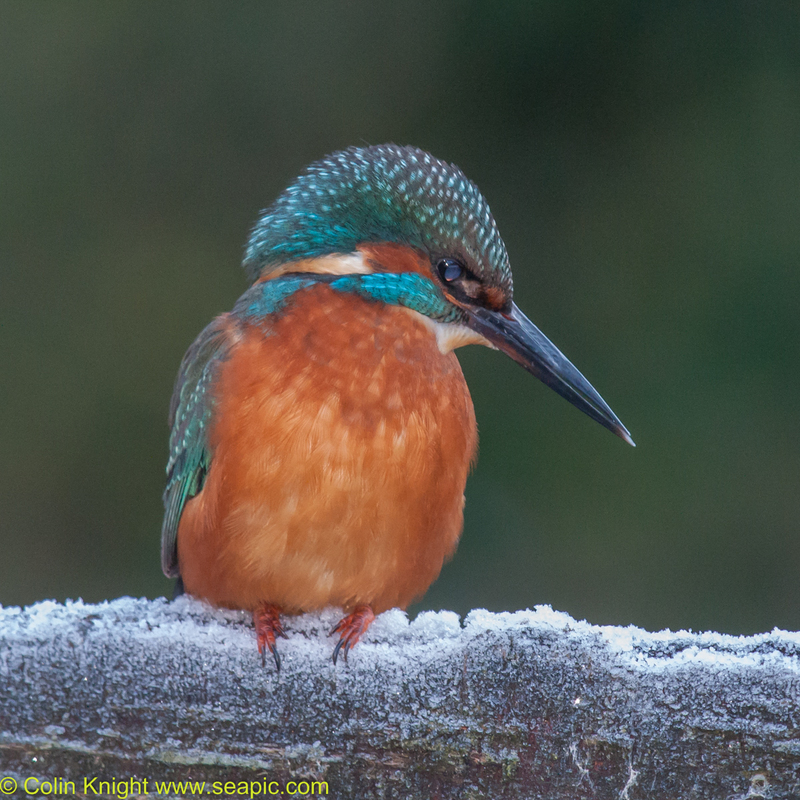 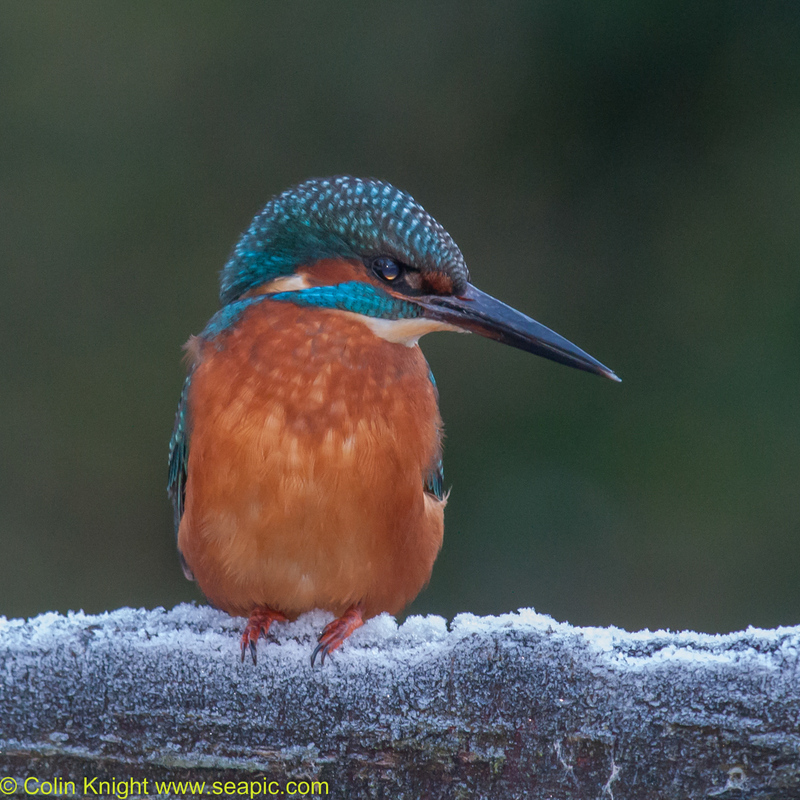 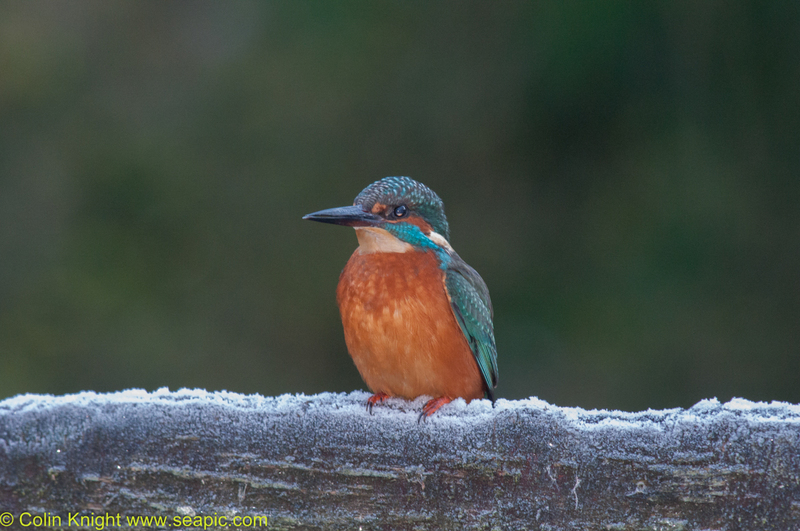 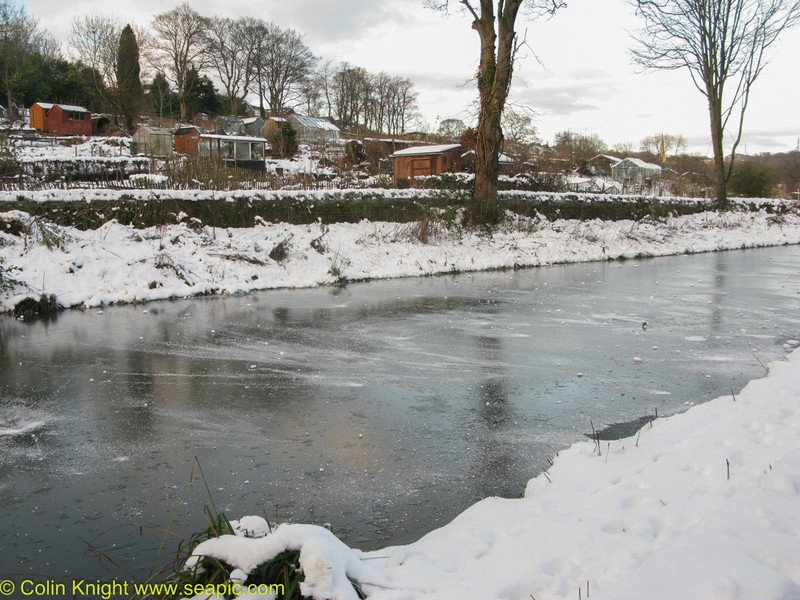 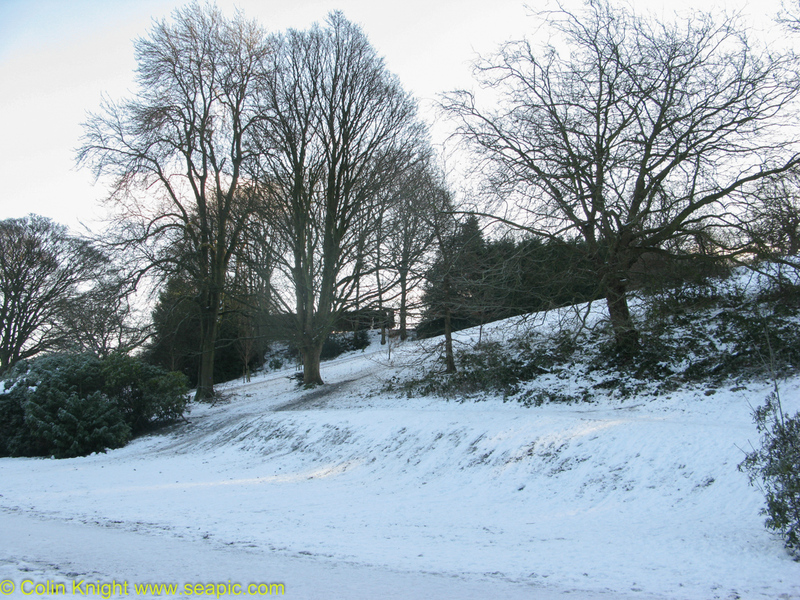 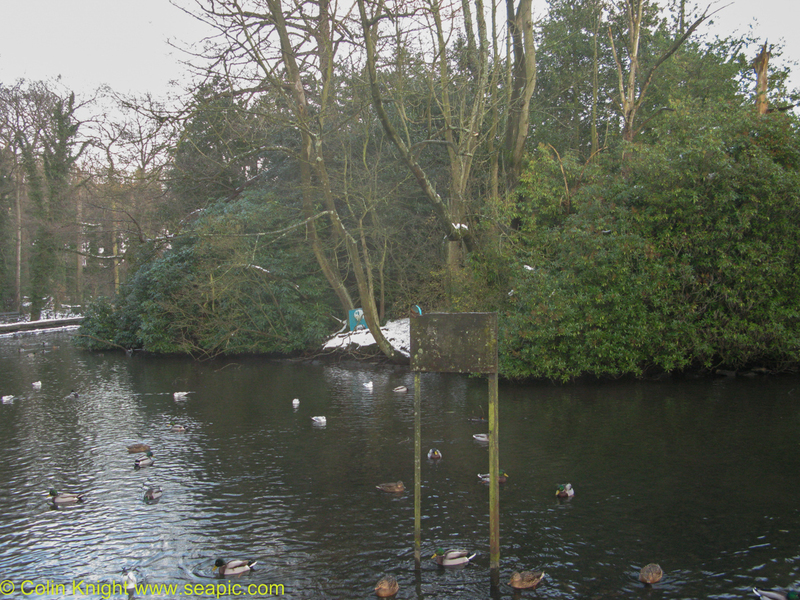 I headed to the top pond at Endcliffe Park where the Kingfisher had been perching on Sunday. 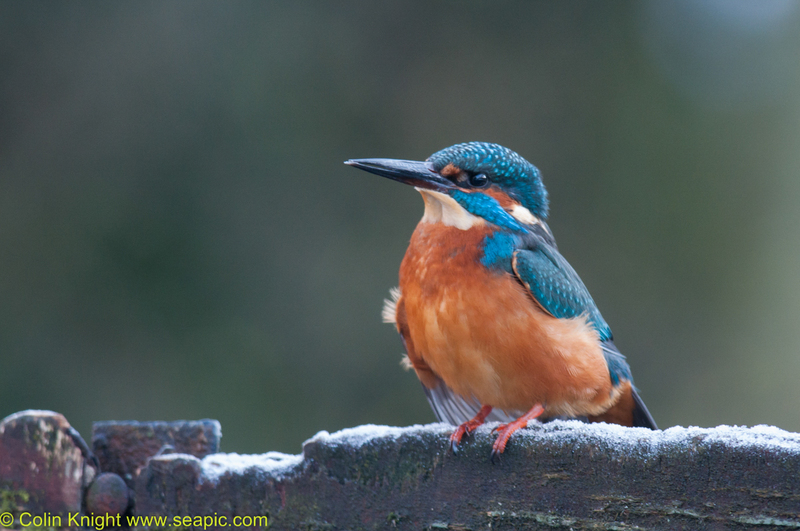 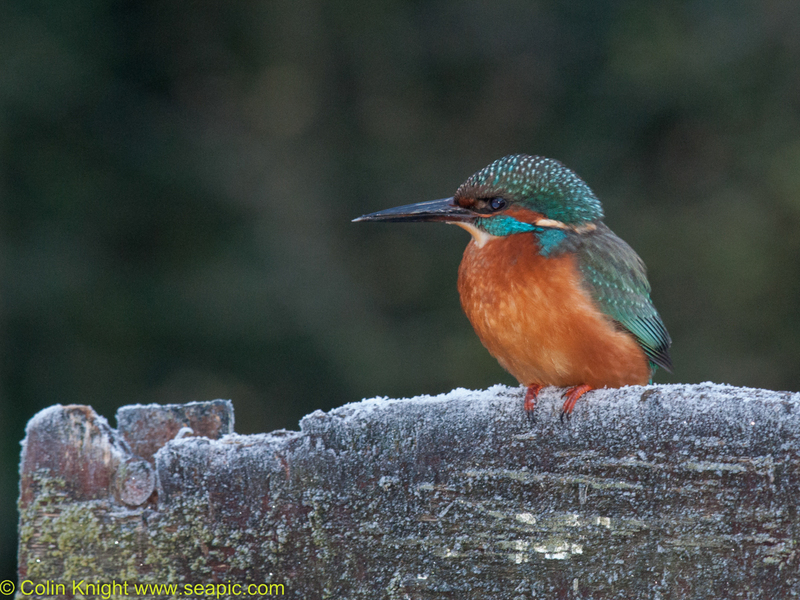 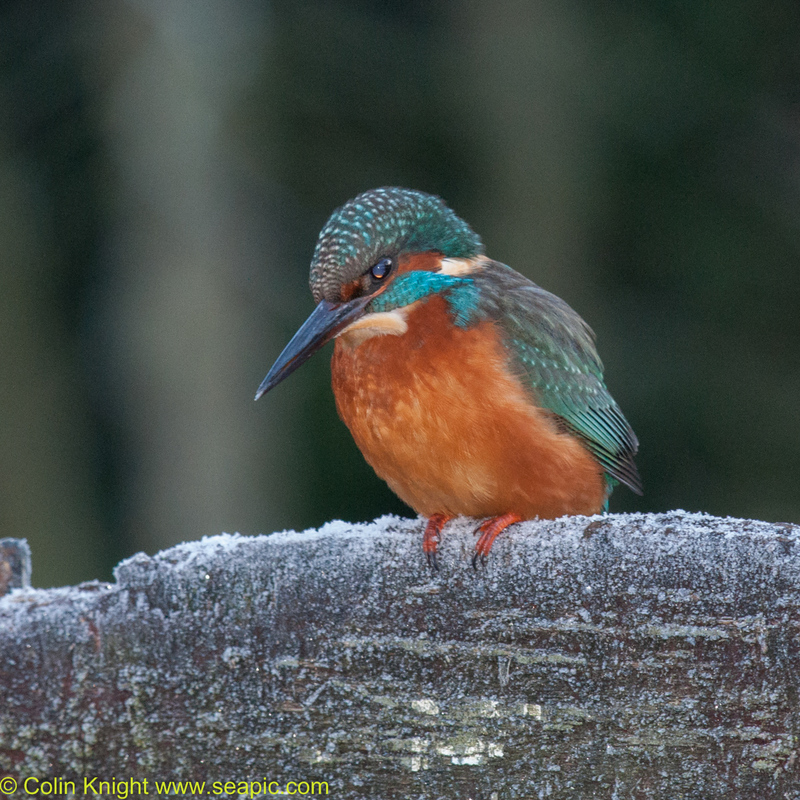 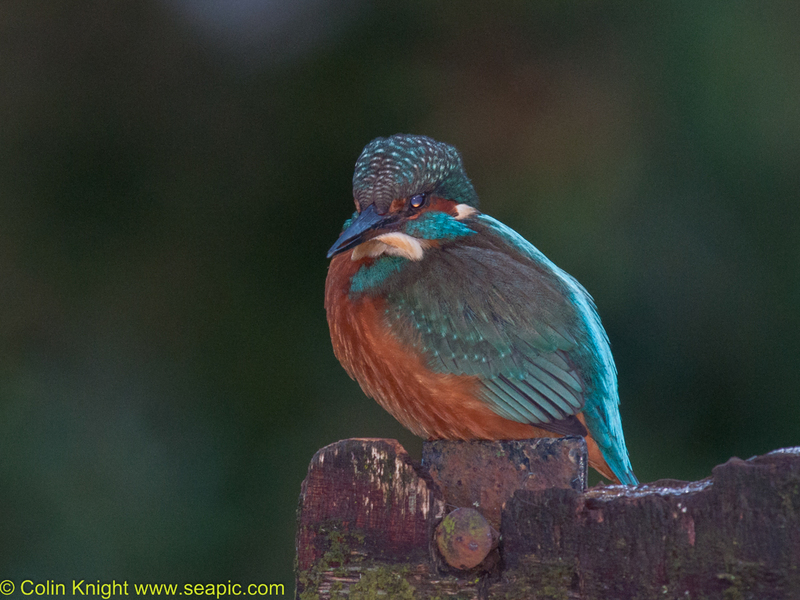 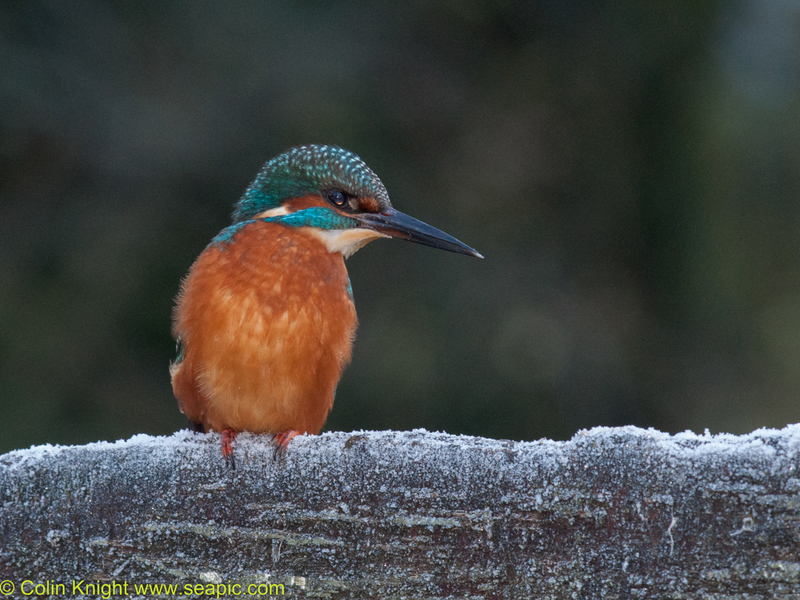 I joined Andy, another photographer, and soon the kingfisher took up residence on the sign 5 metres away. 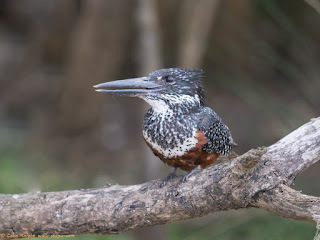 It stayed for a long time unfazed by the assembling admirers and then caught a fish and flew off to savour its catch in private. 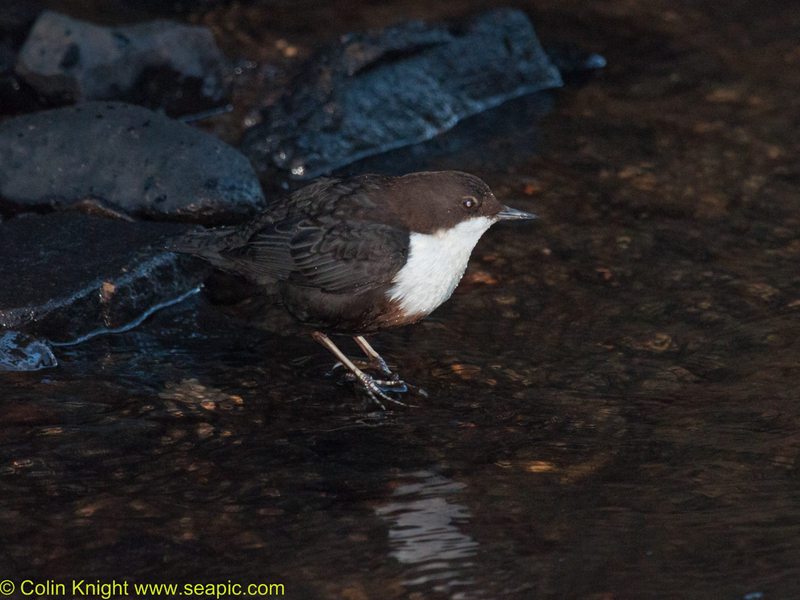 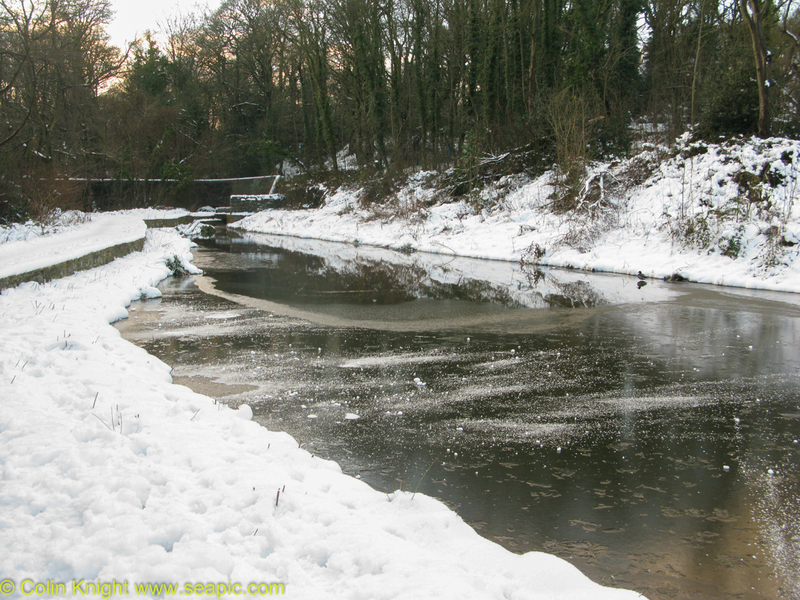 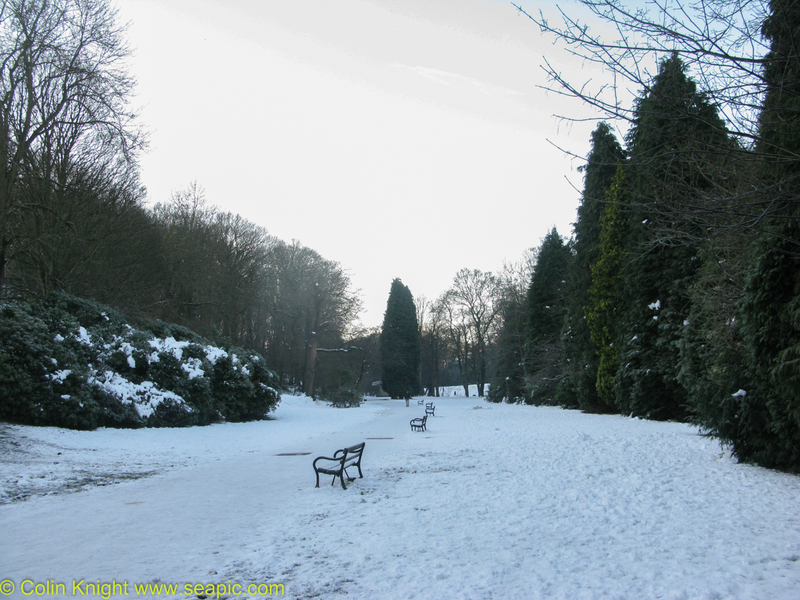 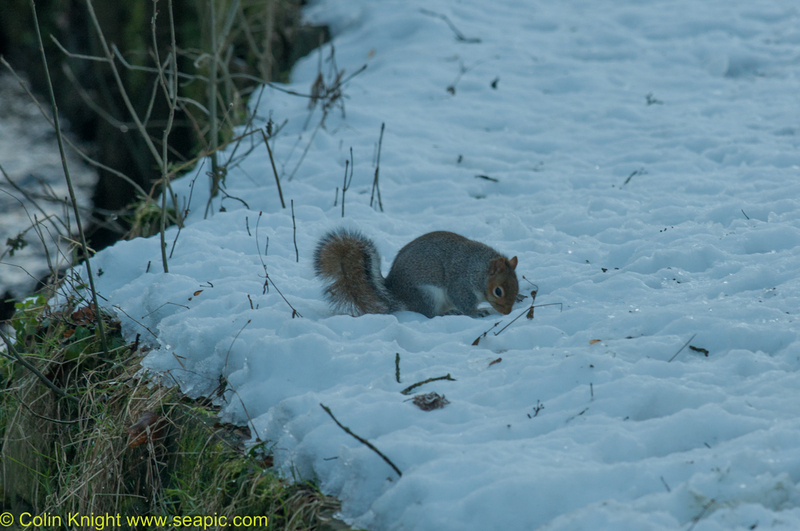 This scenario was repeated several times before I left in search of the Whitley Woods park Dipper, which posed for photos. 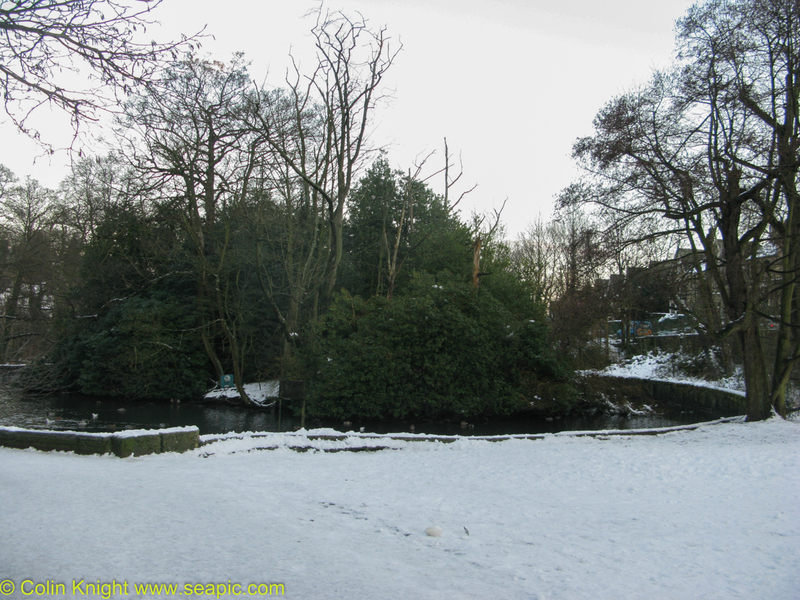 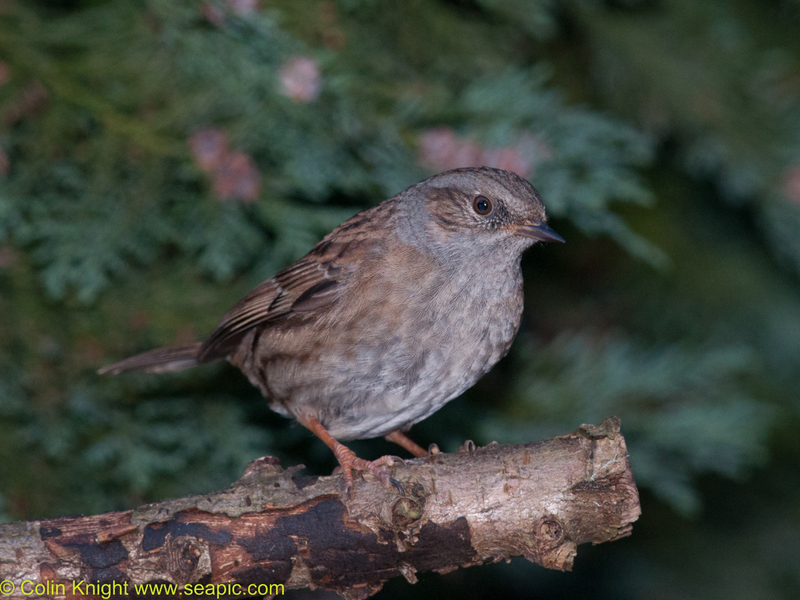 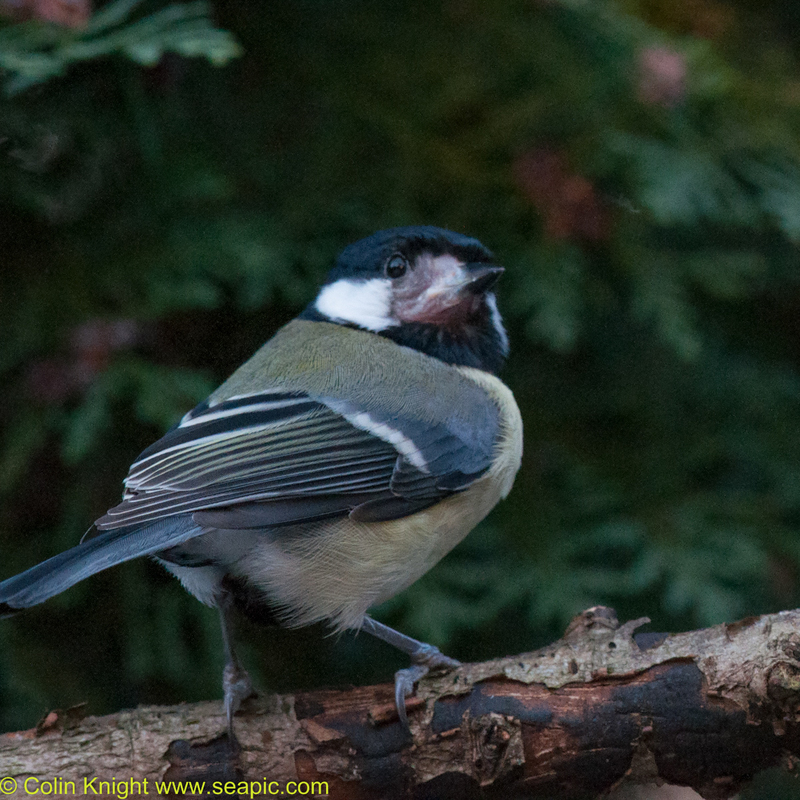 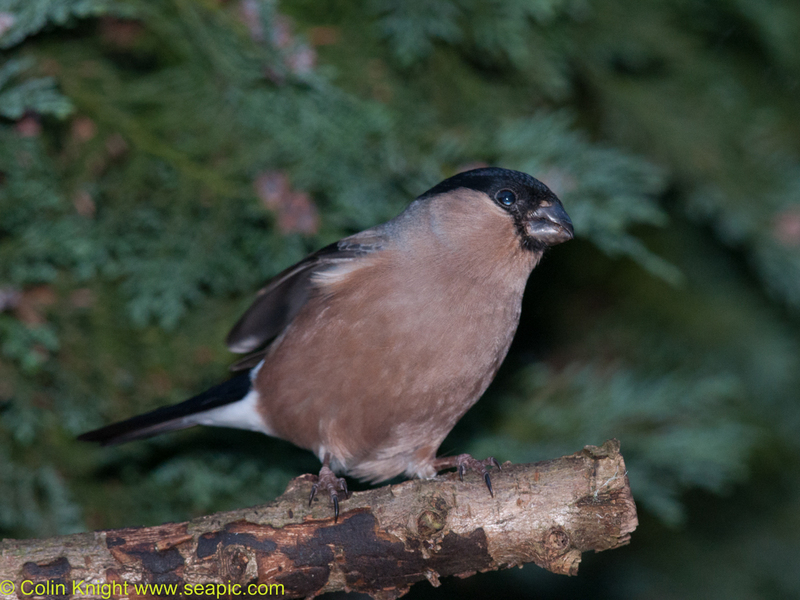 After lunch I took Nute to the Hallamshire to be with Ken while he was being discharged then set up the camera again by the bird feeder. 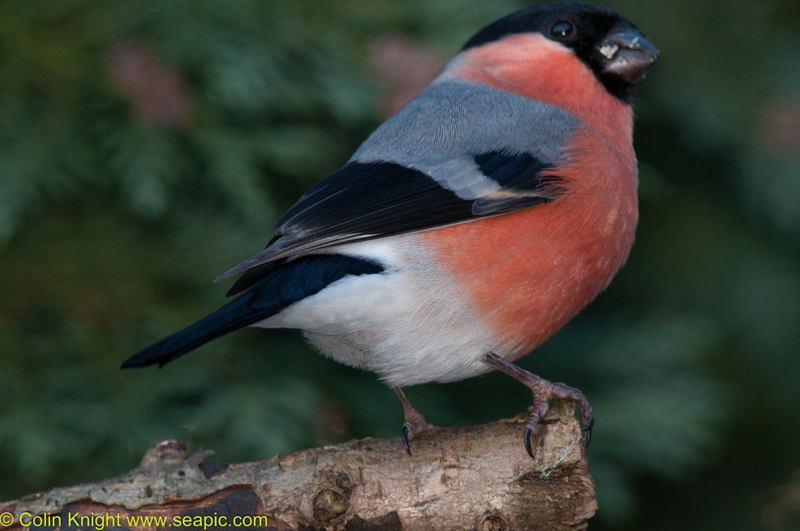 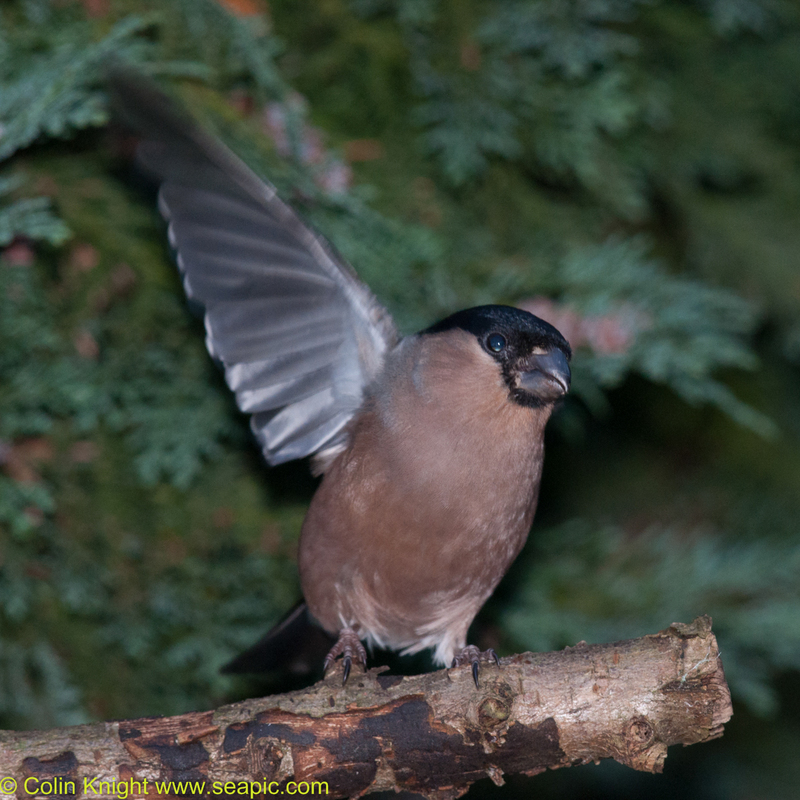 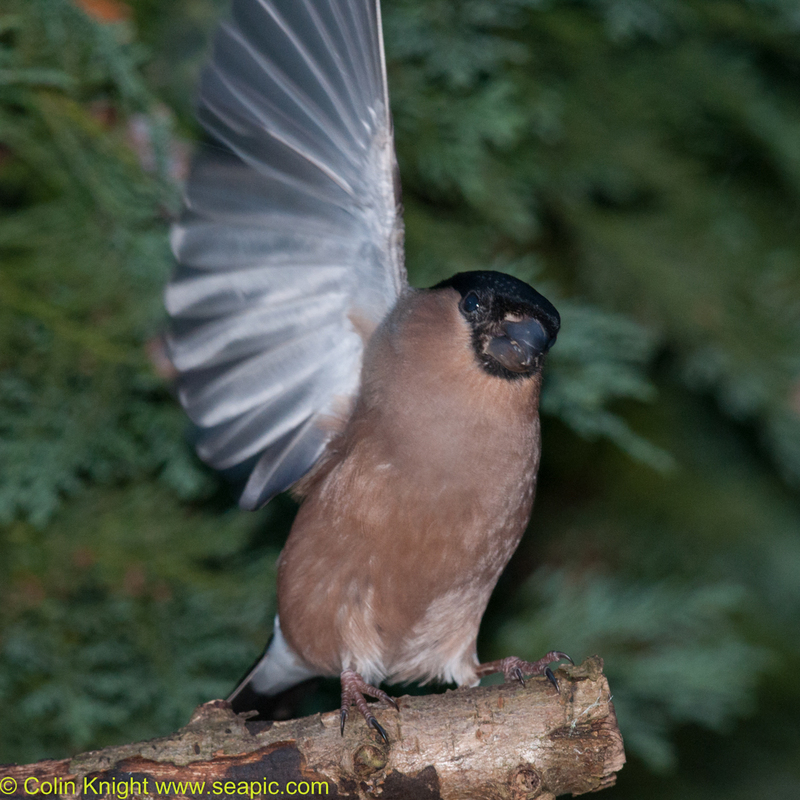 The only time one of the male bullfinches landed on the branch I checked the photos and found I had left the extender on so the bird had a closely cropped head. 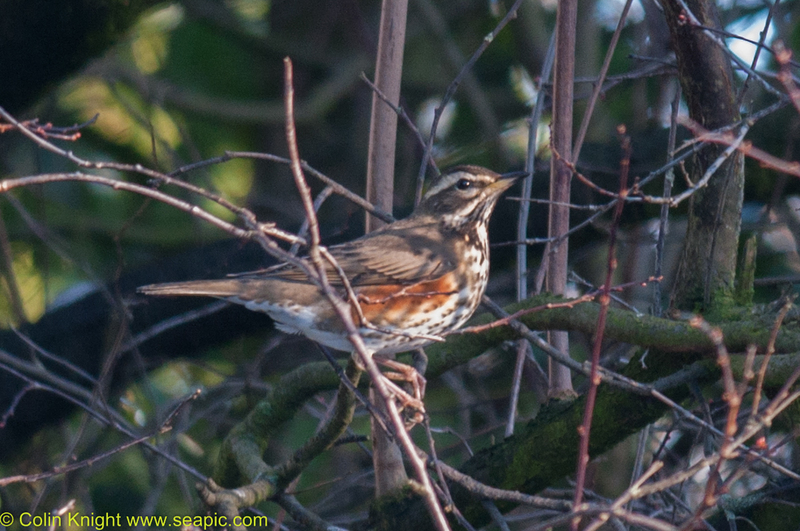 A Redwing landed high on a tree and flew off. 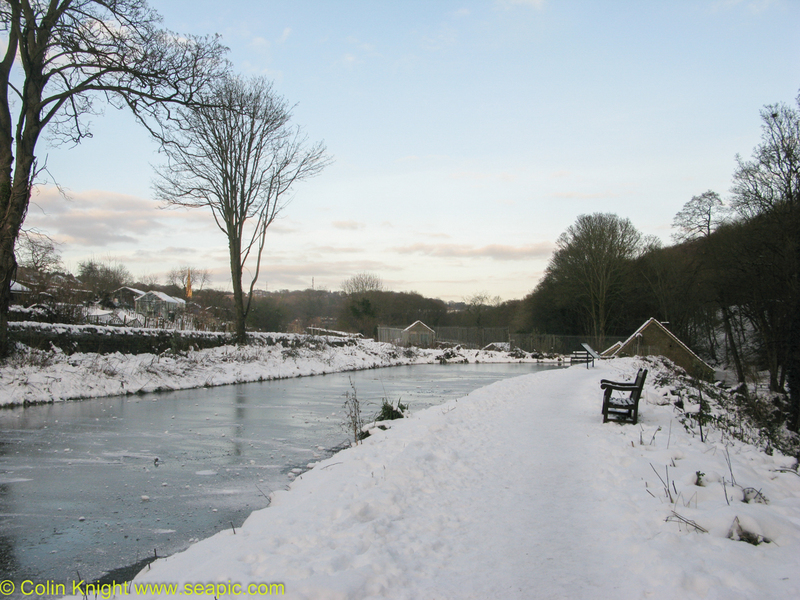 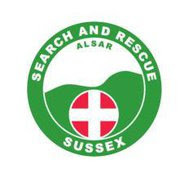 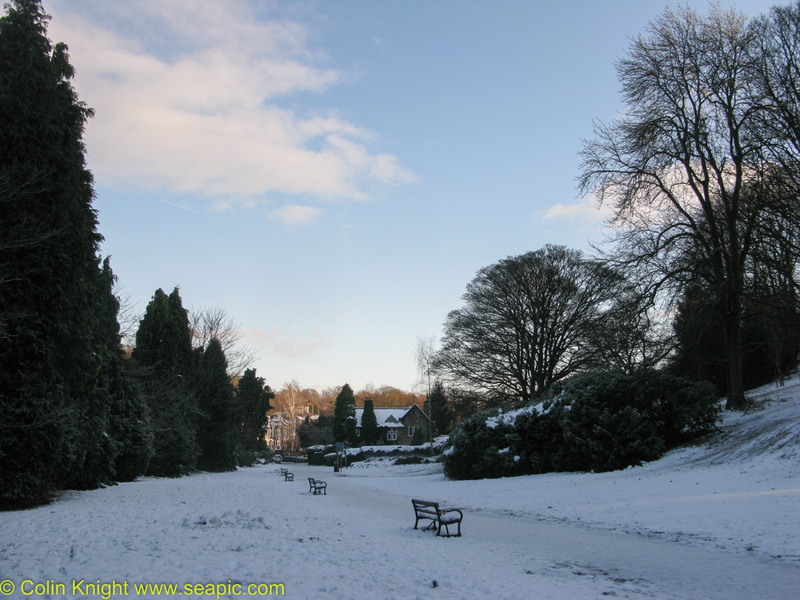 At 6pm I collected Ken and Nute from the Hallamshire and we had supper from soup Sue had prepared earlier and we finished the peach frozen yoghurt I had made earlier.